Please note that CIES 2017 will not have an ‘early’ and a ‘late’ submission deadline. All proposals will be due by 11:59pm CST on October 1, 2016. The submission deadline will not be extended. The submission system will open in August 2016. Decisions on submissions will be made by early November. To qualify for discounted early registration rates, you must register by January 15, 2017. After January 15th regular registration rates apply. Presenters who have not registered for the conference by 11:59pm CST February 12, 2017 will be removed from the conference program. A.) 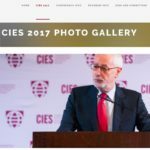 Membership: CIES membership is required to present at the CIES 2017 Conference. 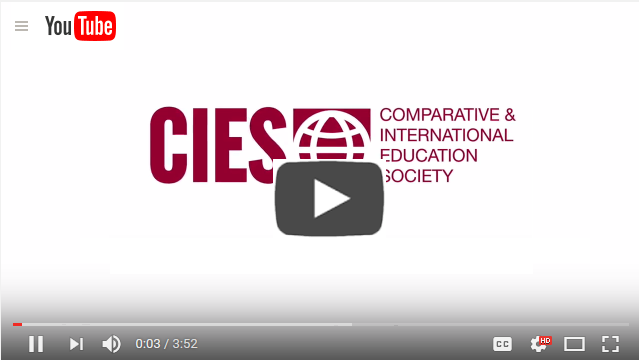 To join CIES please go to http://www.cies.us/?page=Join. Note that CIES membership is not required at time of proposal submission. If you are not presently a member you may still submit a conference proposal and then join later in January 2017 if your proposal is accepted. B.) 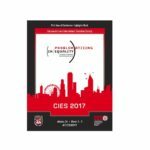 Participant attendance requirement: All presenters of accepted papers and all participants in panel sessions are expected to attend the CIES conference and be present at the scheduled session. Additional non-presenting and non-attending authors may be listed on a submission. 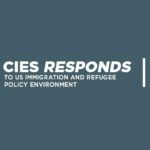 If an emergency or other circumstance prevents any authors from attending the CIES Meeting, they should immediately notify the CIES 2017 Conference Program Committee at cies2017@cies.us. 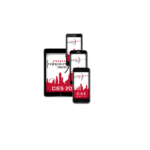 CIES is not able to accommodate pre-recorded or virtual (online/skype) presentations and requires that at at minimum at least one of the paper presenters be present at the conference. C.) Participation limits: To allow as many conference attendees to present as possible, individuals may submit only one proposal for an individual paper, panel presentation, poster session, or roundtable paper session. An individual may appear as a presenter only once in the final program. Exceptions will be made in the case of special invited sessions, certain special events as well as for participants in New Scholars Committee Dissertation Mentoring Workshops or Publication workshops. Additional exceptions will be made for those who are listed as non-presenting authors in multi-authored papers and for those participating in book launch roundtables. This rule also does not apply to people serving in a discussant or chair role. If you are unsure if these exceptions apply at you, please contact the CIES 2017 Conference Program Committee at cies2017@cies.us. To avoid duplication of presentation content, individuals with multiple roles may not present the same material in different sessions. For example, if your paper is accepted at a Dissertation Mentoring Workshop, you will not be able to present the same paper for an individual or panel session. Final decisions on the limits to individual participation in the annual meeting will be made at the discretion of the program committee. D.) Equipment: Standard presentation equipment (LCD and overhead projectors and PowerPoint-equipped PCs) will be available for all paper and panel sessions — however presentation equipment is NOT provided for roundtable sessions or for poster sessions. Note that presentation slides and electronic materials should be formatted to be compatible with PC / Microsoft Windows. Though there will be internet access in conference meeting rooms we suggest that presentations as well as related files also be saved to your own personal USB / “memory stick” and be ready to upload prior to your presentation. E.) Proposal review and selection process: All submitted proposals will undergo blind peer review by experienced scholars and advanced doctoral students in the field of comparative and international education using the CIES 2017 Review Criteria. No identifying information you provide will be seen by our volunteer reviewers. F.) Revisions to submissions after acceptance: CIES allows for minor changes to be made to presentation titles and abstracts after proposal acceptance. We also permit changes to the list of presenting and non-presenting authors. In the case of accepted group panel or group roundtable submissions we similarly accept modifications to individual papers and authors. However because the acceptance rests on a blind peer review of the proposal as submitted, we generally do not permit the addition of new papers to an accepted group panel or group roundtable. Any requests for changes must be received by February 1, 2017.